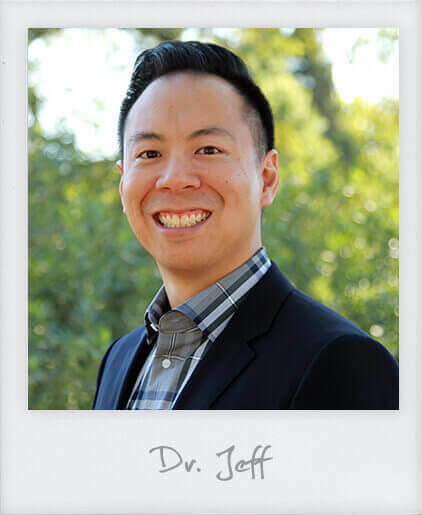 Once we get our El Dorado Hills braces patients outfitted with their new hardware, the staff at Jeffrey Kwong Orthodontics makes sure to give them a rundown of the foods they should avoid but, even more importantly, all of the foods they can still enjoy. Our Invisalign patients don’t really need to worry because there are zero food restrictions thanks to the removable aligners. However, just because you opted for metal, ceramic, gold or lingusal braces, doesn’t mean you’ll have to hole up in your house and skip all of the good times at your favorite restaurants. If you’re at a bit of a loss for what and where to eat, here’s our handy guide to what foods are safe to eat with braces and our top picks for braces-friendly food in Sacramento, El Dorado Hills and Folsom. When you’re wearing braces, you will want to stay away from really chewy foods like licorice or bagels (unless you break them up in tiny pieces), crunchy foods, such as popcorn, ice, and chips, sticky foods, including caramel and gum, and super hard foods like nuts and hard candy. You also shouldn’t bite into things like apples, carrots or corn on the cob. Instead, remove corn from the cob and cut up raw fruits and veggies into manageable pieces. As you can see, the off-limits list isn’t all that long. Now that we covered the less fun part, on to all of the delights you can munch on throughout your orthodontic treatment. After adjustments and when you first get your braces put on, your teeth might feel sensitive. Sticking to soft and cold foods and drinks will work wonders. Even Invisalign patients will want to take note because when you put in a new set of aligners, you might experience the same temporary sensitivity. Yogurt, smoothies, mashed potatoes, soup, the occasional ice cream or milkshake and steamed veggies are all great options. For the rest of the time, it’s less about what to eat and more about how to eat with braces on. Make food as easy to scarf down as possible by cutting it into bite-sized pieces and don’t tear at anything with your front teeth. If it’s something you can chew with ease, then eat up! This spot in the El Dorado Hills Town Center serves up New American cuisine in a cool, rustic space. On a nice day, try to get a seat on the patio. The French onion hummus with warm pita bread is outstanding. Make sure you break the pita bread into tiny pieces and chew with your back teeth. They have excellent mac and cheese, which is always a good braces food option. Try the classic or the Maine lobster and roasted cauliflower version. Since ice cream is nice and cold, it will numb any discomfort after adjustments or when you first get your braces put on but, who are we kidding, it’s really just plain delicious. You can’t go into Sacramento without stopping at Gunther’s. Considering Dr. Kwong did go to dental school, of course, we have to warn patients to have sugary desserts in moderation and to always brush their teeth afterwards to keep cavities at bay. However, when it’s time to splurge, Gunther’s is the place to be. They have a huge variety of rotating flavors. We’d recommend a mango 50/50 (vanilla ice cream added to the center of your mango fruit freeze) or the marble fudge ice cream. Can you eat sushi with braces? Of course! It’s actually an excellent food to enjoy during orthodontic treatment since it’s soft and nearly bite-sized. Aji Japanese Bistro offers a modern take on traditional Japanese food in El Dorado Hills. Their universal sushi is super good. The restaurant also has several types of ramen, which are easy on the mouth as well as a vegetable donburi. This little Thai restaurant in Folsom is full of excellent choices for braces wearers. Thai food, in general, is great since a lot of the dishes feature noodles and rice and those are both things we often recommend when our patients ask what types of food to eat with braces. Their tofu soup is tasty as is their pad woon sen and Thai fried rice. Bonus: They offer takeout and delivery. Bacon & Butter is a popular destination for traditional American breakfast and brunch in Sacramento. It’s busy but rightfully so since the food is awesome. It has a hip atmosphere and a fun menu. The real standout items that work well with braces are the flapjacks or for a little extra flavor, try the strawberry flapjacks and the spring hash. If your teeth are feeling sensitive, go for the oatmeal. Need Braces for You or Your Child? Book Your Free Consultation Today! While Sienna isn’t the most kid-friendly restaurant on this list, a lot of orthodontic patients are adults and they deserve tasty treats too! You can’t go wrong with lunch or dinner but we’d definitely recommend swinging by for brunch. Our braces-friendly pick is the roasted vegetable frittata. It’s soft but protein-packed and full of sautéed veggies. We promise you’ll think about it for days after. With three locations, Selland’s features local food and they pretty much do it all from pizza to dessert to comfort food. We’d recommend the classic meatloaf, which has beef, pork, tomato, onion, and cheddar. It’s moist, comforting and a little like a meat hug. Be sure to get a side of mashed potatoes too. Bamiyan serves Afghan cuisine. The restaurant has a warm ambiance and a friendly staff. Don’t be fooled by the unassuming location; when you step inside, you’re greeted with chandeliers and ornate tapestries. Try the ashak (boiled dumplings filled with scallions spinach and topped with spiced beef, yellow peas and a homemade yogurt, garlic and mint sauce), which is served with eggplant or pumpkin puree, or the vegetarian platter (sautéed spinach, potato, sweet and spicy pumpkin puree and eggplant). It really doesn’t get much more braces-friendly than purees and soft-cooked meats and veggies. Soothe your mouth with the coldest treats in town. Rita’s has a rotating menu of Italian ice and cream ice flavors (team mango!) plus old-fashioned custard and soft pretzels. Combine the Italian ice and custard in one of their refreshing misto shakes. They even have sugar-free options so everyone can dig in. Even if the idea of green juice makes you cringe, this stuff is actually pretty addictive and juices and smoothies are a smart way to get your vitamins and minerals when you don’t feel like chewing. To sneak in a vegetable without even knowing it, order the Mixed Vibes (mango, pineapple, kale, local honey, chia seeds, cinnamon and almond milk). We’re also obsessed with their Cacao Town (cacao, almond butter, dates, Brazil nuts, banana, coconut oil and hemp milk). It tastes like dessert even though it’s surprisingly nutritious. We know nuts tend to off limits but if they’re blended like these, have at them. Sutter Street Grill offers breakfast and lunch and everything is made in-house for home-cooked flavor. This is one of the more family-friendly restaurants in Folsom so our younger patients will love having a meal there. The fresh fruit and cottage cheese salad are healthy and easy to eat and so are the omelets (they have a ton of them!). Kids will be ecstatic about the cinnamon rolls – be sure to cut them up into small pieces – and the pancakes topped with a dollop of whipped cream. Smoosh Ice Cream Sandwich Factory in Folsom is basically a dream come true. Their custom ice cream sandwiches are comprised of a heaping helping of ice cream nestled in between two soft, freshly baked cookies and then sprinkled with toppings. You get to create your own dessert wonder by choosing your ice cream flavor and type of cookie and topping. If you’re wearing braces, don’t go with the hard or chewy candy toppings. The sprinkles, hot fudge, fruity pebbles and whipped cream are all a-okay though.